Vox's Zach Beauchamp helpfully points to a Foreign Policy blog post by Will McCants and Chris Meserole reporting preliminary results from research they are undertaking indicating that the strongest correlate of the tendency for radicalization -- defined as the proportion of a country's Sunni Muslim population who become foreign fighters -- is whether the country speaks French. The findings are hedged with various qualifications and a debate has naturally ensued about what it means, but 3 confounding factors may be worth mentioning. 1. The Olivier Roy problem. If the underlying issue is not Islamist radicals but a general tendency to radicalization and alienation, for which Islamism provides one of several vehicles, then the interpretation should be around the broader contributors to radicalization in these countries and not specifically who travels for jihad. 2. Modes of disengagement. Foreign fighters don't pick countries randomly from a map. They go where they have links. And those links may arise through colonialism, which has big differences among the former powers in when it happened and how it ended. Turkey dumped virtually all of its former Islamic empire after World War I, or least the parts that hadn't already been peeled away from it, like Egypt. Britain implemented its "East of Suez" pullback after World War II, and was already more inclined towards lighter protectorates in the Arab countries where it was the imperial power. But France, because of geographic proximity but also its governing philosophy, war far more entangled in Arab affairs, and for much longer, than the others. That intensity, including the Algerian war and consequent large migration flows, provided the first generation pool for subsequent radicalization (whereupon point 1 comes into play). So it's not language, but history. 3. Where the action is. The notion of "foreign fighter" is essentially the inverse of "no conflict at home" -- if there was, that's where the fighter would be. The Maghreb had its big conflagration in the Algerian civil war of the 1990s, but there's no active war in the Maghreb* today. The wars -- Iraq and Syria -- are in the middle east, so by construction, the mobile pool of radicalized Sunni Muslims is outward bound from the non-conflict countries to the conflict countries. Does that mean that Francophone countries are more likely to have radicalized populations? Not in the sense that they've collapsed into protracted war, like Iraq and Syria. UPDATE: Gilles Keppel has a far more elaborate and informed response which touches on some of the same issues. *[ 4 June 2017] Not mentioning Libya in this context was a mistake that turns out to be relevant to the overall topic. It's a relief to get to some actual 1916 commemoration events actually happening to provide an alternative to the 1916 chatter. The interpretation of the Rising has been going on for so long that most contemporary discussions have an abstract quality to them, with talking heads engaging in pre-emptive strikes against arguments that are out there, but that no one else in the active discussion has actually made. One example: the post-parade chatter on RTE with panelists asserting the Irish Defence Forces made sure that everyone knew there's only one Óglaigh na hÉireann; that's of course is true, but no else around the table had said otherwise and it will all seem a bit mysterious to the many Irish citizens and residents who didn't grow up with the underlying debate. And just to play along with that debate for a second, there is a political party in Ireland whose name seeks to claim the mantle of legitimate Irish defence forces to the extent that its initials appear in the crest, but it's not the party to whom the discussants above were referring. Anyway given all that abstraction, our recommended read this Sunday is Maria Farrell's excellent reflection on her ancestor Eoin MacNeill and how his role in the Irish Volunteers was seen through the generations. So as not to avoid the tough questions, this blog's (entirely unoriginal) assessment of 1916 is as follows: understandable given the profound cynicism and amorality of "Great Power" politics at the time; unfortunately became the prime example of how a seemingly outrageous act could jolt the public out of its complacency in favour of the cause; but ultimately even if unintentionally it saved Ireland from a civil war an order of magnitude worse than what actually happened i.e unionism versus nationalism, a war that given English support for unionism, nationalism would have lost. Writing in the Sunday Times (UK), Niall Ferguson says that US General Stanley McChrystal's It Tales a Network to Defeat a Network counterinsurgency principle proves that to defeat ISIS, Britain must stay in the European Union. A couple of posts ago, we noted the continuing relevance of Olivier Roy's emphasis on how Islamism comes into the lives of 2nd and 3rd generation immigrants in Europe and becomes a focus of their pre-existing alienation. That leads to a very different direction than the ideological/ religious conflict angle which many politicians seem to prefer. 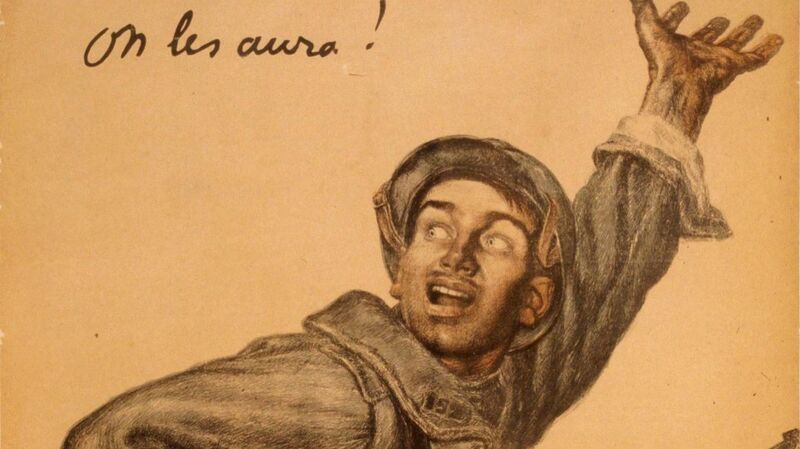 The flip side of the latter is examples such as the above -- a rallying poster from General Philip Petain at the time of the Battle of Verdun in World War I; Petain would go on to head the Vichy regime in World War II. The image was posted by a Flemish nationalist MP Karim van Overmeire, who added some tasteful text about the need to directly take on, a la Petain, the "monkeys with beards" who had bombed Brussels. Everyone is working from their own distorted historical lens, with the distortions coming from their personal experiences. Returns to the Companies Registration Office show that SFM’s managing director, Karen McCrave, and her colleague, Jonathan Hanly, are both directors of 117 companies. These include all those tied to Carval, Cerberus and Goldman. Fellow staff members Fiona de Lacy Murphy and Rachel Martin are on the boards of 124 and 100 companies respectively. A fifth employee, Ian Garvan, has 41 directorships. Presumably part of the comparative advantage of these companies is that they've figured out how to standardize these transactions so that having a small number of people holding hundreds of director positions is feasible. Norman Ture resigned from the Treasury because the supply-side tax cut of 1981 (the only one that the likes of Cruz and Rubio remember) was partially undone in 1982 by "the biggest tax increase in history" -- a reaction to the huge deficits that were forecast as a result of the earlier cuts. These tax increases went into effect despite the country still being in recession, and yet were followed by what is now hailed as Reagan's tax cutting boom. Maybe some of those ties were knotted too tightly. It must be frustrating to be Olivier Roy and read about the apparent surprise of the Belgian authorities about the petty criminal backgrounds of the Brussels bombers while knowing of his years of writings on exactly this pattern. The revolution having ended, the streets in the central parts of the city on Monday became comparatively safe during daylight, the citizens displayed great anxiety to see for themselves some of the damage that had been done. Residents outside the military cordon on the North side of the city were rigorously excluded from passing through, and on the South side, a similar restriction, though not quite so strict, was in force. Lister dates the arrival of ISIS to spring 2013. In Iraq, the failure of the international community to uphold the 2010 election results, and the support of both Iran and the United States for a second premiership for the sectarian Shiite Nouri al-Maliki, had devastating consequences for the region. Maliki accused Sunni politicians of terrorism and drove them out of the political process. He stopped paying the salaries of the Sahwa (Sunni awakening) that, fighting alongside American forces during the 2007 surge, had defeated Al Qaeda in Iraq. He arrested Sunnis en masse. This created the environment that enabled ISIS to rise from the ashes of Al Qaeda in Iraq, presenting itself as the defender of the Sunnis — and then expanding into Syria. While the rise of ISIS is certainly a story about Syria and the Al-Assad targeting of the moderate opposition, it's also a story of taking the eye of the ball in Iraq. 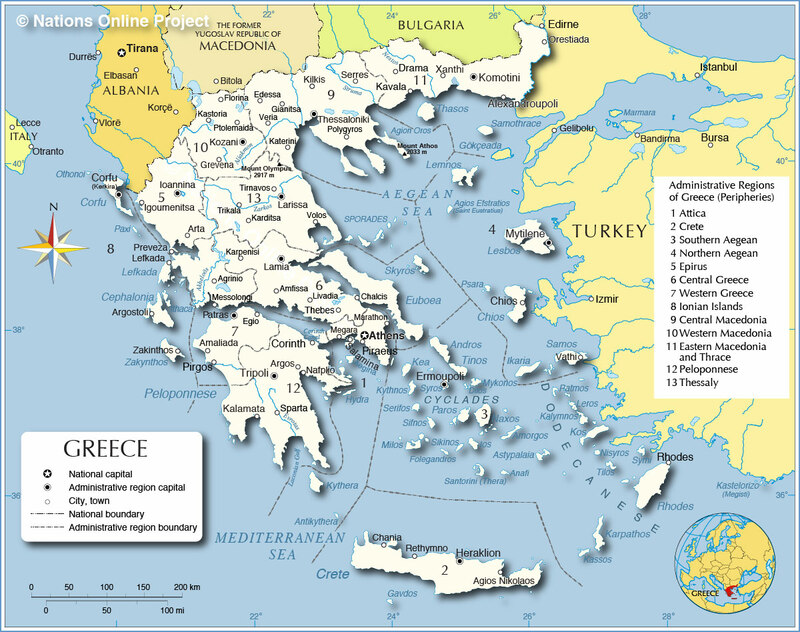 (Reuters) "The [IMF/EU] mission chiefs will leave Athens tomorrow evening after a wrap-up of this phase and will return after Catholic Easter," a [Greek] government official said on Saturday, adding that technical teams would continue talks in the meantime. (Reuters) Greek Defense Minister Panos Kammenos, the head of the ruling coalition's junior party, called on the migration minister to resign on Wednesday for failing to use the full name of northern neighbor the Former Yugoslav Republic of Macedonia. Yannis Mouzalas called it simply "Macedonia" in a late-night interview on Tuesday, accidentally launching himself into a long and bitter dispute over the proper title of the territory. In the first case, there's an undercurrent of grievance from the Greek government that the economic program discussions are being scheduled around Catholic Easter -- Greece being Orthodox. And in the second, it's sensitivity over a name, which relates to the historic province of Macedonia. The point: global policy elites are in too much of a hurry to see nationalism as a vestigial characteristic or something that manifests itself only in Trump/Le Pen/Orban/BoJo forms. But in many countries, and definitely in countries under stress, it's in the bloodstream. You're going to look very confused if you don't take account of it. Incidentally, the IDS resignation is an important lesson to American "Social Justice Conservatives:" when a fairness instinct runs up against austerity madness, the latter wins. Look closely at the table as the Belgian Prime Minister and French President Hollande field a phone call from Barack Obama. Thus he stayed away from making the process look like it only covered non-Muslims; the Shia don't count for much in the ISIS worldview either, nor indeed any Sunnis who don't meet their standards. It's worth noting that for all the focus on the plight of Christians and Yazidis in ISIS areas, Camp Speicher may be the biggest single incident of mass murder by ISIS. It's almost as if there is a "paradox of thrift!" The combination of our action to reduce borrowing this year, along with the revisions to our nominal GDP driven by lower inflation, have produced this paradoxical result. In cash terms the national debt is lower than it was forecast to be in the autumn, but so too is the nominal size of our economy. We measure the fiscal target against debt to GDP. So while debt as a percentage of GDP is above target and set to be higher in 2015-16 than the year before; Compared to the forecast, the actual level of our national debt in cash is £9 billion lower. George keeps cutting spending to cut the debt, but GDP falls faster than the debt, so the debt burden actually rises. Someone needs to write a book about this amazing discovery. ABIDJAN - Al Qaeda's North African branch said its attack on a beach resort in Ivory Coast on Sunday that killed 18 people was revenge for a France's offensive against Islamist militants in the Sahel region and called for its forces to withdraw. This attack highlights a challenge with a singular focus on ISIS, such as in President Obama's Joker analogy. Al Qaeda is reacting to ISIS, partly by picking targets where the caliphate goal, as opposed to striking the West goal, doesn't resonate. A female member of the outlawed Kurdistan Workers Party (PKK) carried out the bombing in central Ankara on Sunday, Turkey's interior ministry said on Tuesday. The Turkish national, 1992-born attacker had joined the PKK in 2013, and was later trained by the Syrian Kurdish militant group YPG, the statement said. There goes the theory that suicide bombing is used only by Islamist terrorists (a dubious theory anyway given e.g. the Tamil Tigers). Of course no analogy should be pushed too far beyond its immediate purpose. But it does raise the question of whether ISIS can be seen as a disruptive but also nihilistic force that can be isolated or whether instead it's the latest manifestation of state and social failure. The disruptions have been recurring in the Middle East for a long time and how they've been dealt with is part of the problem, as Obama recognizes. Are those mistakes being repeated on ISIS? NBRU [National Bus and Rail Union] General Secretary Dermot O'Leary has said the move by Luas [light rail] operator Transdev to hire private buses during a strike planned for St Patrick's Day will 'up the ante' and he said protests on the day will be angry with children exposed to that. It’s hard for a democracy to thrive without good leaders, but it can’t survive without good voters. And if you watch a debate without the slightest clue (or perhaps even concern) as to who’s telling the truth, you’re simply not doing your job. March 8, 2016 (KHARTOUM) - Chadian President Idris Deby has arrived in Khartoum on Tuesday to hold talks with his Sudanese counterpart Omer al-Bashir on bilateral cooperation as well as the situation in Libya and South Sudan. That's how badly the US has screwed up the region: the half-hearted Libyan intervention and the push to have a South Sudan state on a just-in-time basis means that countries normally seen as problems themselves have to meet to decide how to handle the spillover from the screwups. What's the Arabic for heckuva job? Given his expertise at trolling, Trump should the next time around have the crowd perform the quenelle, a carefully calibrated stunt by the French comedian Dieudonné. Days of irregular migration to Europe are over. Turkish PM confirmed Turkey takes back irregular migrants apprehended on Turkish waters. the most mealy-mouthed meeting of murmurating Ministers. UPDATE: The problems with Tusk's apparent deal were so obvious that the Turks and Germans were conducting the real negotiations concerning what would happen to forced migrants who actually reach Greek territory. Given the growing ranks of European countries unable to form governments in the wake of elections (Ireland, Slovakia, Spain, and Portugal hanging by a thread), readers may ask: where is the Vox-style piece on what you need to know about Irish politics? Well, here's an attempt. In the Vox style, it will contain numerous declarative statements that are in fact opinions, but that's intrinsic to politics. Equally, it will contain statements that will seem redundant or simplistic to Irish readers. That's intrinsic to abbreviated explanations. The narrative of Irish electoral politics is built around Fianna Fáil (FF). Given the nature of the Irish electorate, FF is a centre-right party but with a pragmatic policy orientation. Its retail political model is highly clientelist while in economic terms it's best understood as an alliance of the non-traded sector: small farmers, public sector unions, and domestic industry, especially construction. The Irish electoral system enables localized political relationships, so the clientelist model is essential to electoral success, but the hyper-local nature of politics leads to a blinkered view of ethical issues in politics -- voters "know" their local politician better than any conflict of interest revelations can tell them. Besides FF, the landscape consists of Fine Gael (more definitively centre-right but also with an urban liberal faction), moderate left (Labour), and left-nationalist Sinn Féin. As Sinn Féin moved from an absentionist model vis-a-vis political institutions both sides of the border to shared power in Northern Ireland and increased electoral success in the Republic, they've successfully occupied the dissenting left space in the Republic. In common with other countries, conventional party loyalties have been on a downward trend, and that has opened space for a variety of small parties and independents reflecting both specific themes but sometimes simply county-level popularity and issues. Given this background, the Irish economic-electoral cycle can now be outlined. Each cycle is 20 years. At the start, Fianna Fáil come to power. Their pragmatic and interventionist leanings generates some growth. Their interests do well from this and as incomes grow, the growth takes on some momentum. But as it does, the clientelist politics and demands of the vested interests start to take a bigger toll on the sustainability of growth. Eventually a combination of external shocks and domestic blunders operating in a weakened governance and economic environment causes a crash. FF lose the next election and a rival FG-led coalition comes to power. The nature of the crisis forces the alternative coalition into orthodox adjustment, especially on the fiscal side. This adjustment is successful, but the floating electoral vote blames the alternative coalition, while the vested interest and clientelist FF base stays loyal to them. The electoral space is thus too small for the coalition to sustain itself. However, the adjustment policies are successful, and leave foundations for the next boom. Go back to the start of this paragraph. The anchor years for the cycle are 1977 and 1997, and 1957 arguably also fits especially if 1948-57 is counted as a single spell of alternative government. And here's the problem: it now fits 2016! Some other elaborations may also be useful. FF's electoral base has eroded over time, as the governance and crisis issues take their limited but cumulative toll. This has made them increasingly reliant on others for parliamentary majorities. However, support from other parties for FF in government has weakened or destroyed the supporting partner. This law of Irish politics covers Labour (1930s, 1990s), Fine Gael (post-1987), Progressive Democrats and Greens (various stages of 1997-2010). Any party considering support for FF will therefore treat it like the story of the Scorpion and the Frog. FF is the Scorpion. It's also important to bear in mind that Ireland is a small and very open economy. Much of what happens on the economic side is connected to external events. There's also a long history of people leaving, and more recent history of arriving, in search of jobs. Perhaps understandably, voters tune out a lot of factors that they can't control, and focus instead on their direct financial stake in the role of government. This results in limits on the kinds of economic adjustment that are considered viable, especially given the way that the clientelist politics interacts with a saturated media market to efficiently produce "outrage." The net effect of all this, especially when looking from abroad, is (as we noted recently) to find that Churchill had the best metaphor for Irish politics, notwithstanding that he was talking about two counties currently in another jurisdiction. So what will happen? Despite the way that the big changes in number of seats per party drove the election result coverage, the parliamentary configuration points to a FG-led government operating with some kind of support from FF. The good scenario is that what starts out of necessity turns into a genuine programmatic centre-right government, which in turn enables a stronger left opposition. But more likely is that even that "good" scenario leads to John Quiggin's Anglo-origin politics 3 party system: grudging neoliberal, weakened left, and tribal. Perhaps the most plausible scenario is that the threat of Brexit and some EU nudges from behind the scenes are able to sustain a FG-led government for a year, and then another election is tried to shake things out when there's been time for reflection. The cliches of political analysis certainly apply to any scenario: events and crises, both at home and abroad. Along those lines, one recommendation that's not quite a prediction: Brexit, its effect on Northern Ireland politics, and spillovers to the Republic is a mostly ignored factor in most of the analysis that will come into play very soon, and that (despite FF belief to the contrary) favours FG. This will be elaborated in another post. 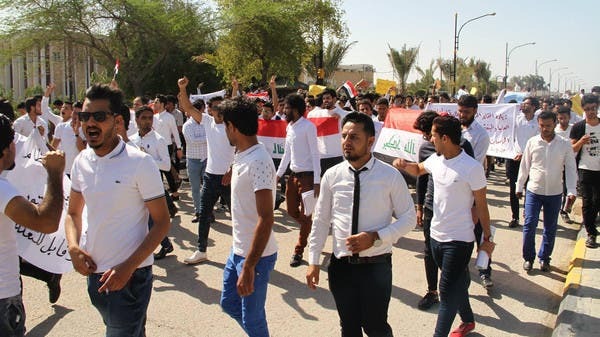 University students in Basra, Iraq wear white shirts as part of growing protests against government policies in education. Student protests against the government -- what could possibly go wrong? Here's a section from C-Span of Marco Rubio's speech to the Conservative Political Action Conference (CPAC) yesterday. One of the many challenges with Rubio is that his speeches are filled code which is understood by particular audiences but will seem abstract to a more general audience -- it's one of the ways in which he's gotten light treatment from the media compared to Donald Trump. The first minute or so of this clip is a good example. When he's talking about the right to live out first amendment rights, he means being able to carry religious beliefs well into contexts where the government has intervened to provide specific benefits and rights, such as healthcare. And when he says explicitly that families need the second amendment -- guns -- to protect themselves from terrorists, he's going well beyond what most Americans, even gun-owning ones, would think of reasons why they want to have a gun. But this is what Rubio thinks will sell well with his donors and voters while making him the sane alternative to Trump. So far, it's only working with the former. The view that when the banks collapse the country’s economy will collapse was never substantiated. We preserved everything that was healthy, and we fixed--and we are still fixing--what was problematic. There were some chaotic months of cash shortage and loss of wealth. But the economy didn't collapse. And as the inconclusive Irish election shows, working within the constraints of risk-averse policy preferences on this issue is not even politically rewarding. The lesson: don't get spooked into thinking of debt as sacred. Sins can be forgiven. UPDATE: Cyprus exits its IMF program ahead of schedule! 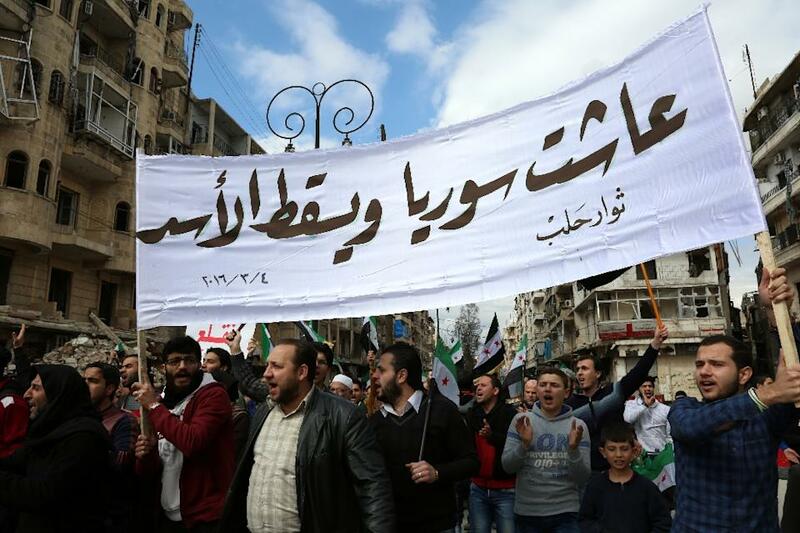 It tells its own story that with the cessation of hostilities in Syria holding in at least some areas, peaceful protests (such as in Aleppo, above) against the al-Assads resumed. That's what being repressed by the regime, not terrorism. Lopez: Who’s the most manly politician today? Mansfield: George W. Bush. Bush is bold and determined, two manly qualities, and his critics consider him over-manly, not unmanly. But don’t forget that manliness is not all of virtue. There's actually a direct line to this idiocy from the Al Gore "earth tones" fun from the 2000 campaign and after all, there was time for such media frivolity because it's not like anything bad was going to happen in 2001. Three Starbucks outlets that opened in Cork city centre over the past year do not have adequate planning permission, An Bord Pleanála has ruled. Complaints were made to Cork City Council after the cafes opened on Patrick Street, Emmet Place and Princes Street. No planning permission was sought for any of the stores. Cork City Council entered in to discussions with the chain and it is understood the chain argued planning permission was not needed for the outlets. However, An Bord Pleanála has ruled that the cafes represent a change of use and planning permission is now required.